]The microcirculation of bone and marrow is vital for bone development, maintenance, and repair. In addition to the well-known function of transporting oxygen, nutrients, systemic hormones, precursor cells, waste, etc., the bone vascular network plays a role in the mechanical induction of bone formation. In addition, arteries and marrow sinusoids are critical components of hematopoietic stem cell niches. 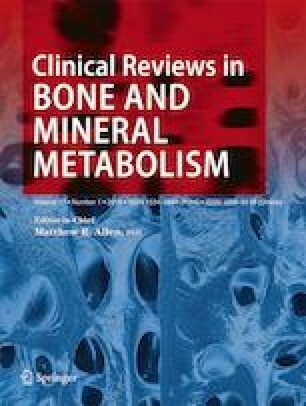 This review discusses the various roles of the bone and marrow microcirculation in regard to (1) bone development, remodeling, and fracture repair; (2) the regulation of bone intramedullary pressure and interstitial fluid flow; and (3) the mobilization of mature blood cells into the peripheral circulation. Age-associated dysfunction of the microcirculation is discussed in relation to how it may disturb bone and marrow homeostasis, fracture repair, and organismal vitality. Finally, the review invites the reader to consider the efficacy of treatments designed to alleviate bone and marrow pathologies in the face of a compromised vascular network. Lam H, Brink P, Qin YX. Skeletal nutrient vascular adaptation induced by external oscillatory intramedullary fluid pressure intervention. J Orthop Surg Res. 2010;5. https://doi.org/10.1186/1749-1799X-1185-1118. Grüneboom A, Hawwari I, Weidner D, Culemann S, Müller S, Henneberg S, et al. A network of trans-cortical capillaries as mainstay for blood circulation in long bones. Nat Metab. 2019. https://doi.org/10.1038/s42255-018-0016-5. Ramasamy S, Kusumbe AP, Schiller M, Zeuschner D, Bixel MG, Milia C, et al. Blood flow controls bone vascular function and osteogenesis. Nat Commun. 2016;7. https://doi.org/10.1038/ncomms13601. Gaudio A, Xourafa A, Rapisarda R, Castellino P, Signorelli SS. Peripheral artery disease and osteoporosis: not only age-related (review). Mol Med Rep. 2018. https://doi.org/10.3892/mmr.2018.9512. Lee S, Prisby RD. Short-term intermittent PTH 1-34 administration and bone marrow blood vessel ossification in mature and middle-aged C57BL/6 mice. Bone Rep. 2019;10. https://doi.org/10.1016/j.bonr.2018.100193.